Home Lift Pros sells and installs many types of ramps. Most wheelchair ramps are installed in homes because of the presence of stairs or an elevated entrance of some kind. Ramps enable wheelchair users, as well as people using walkers and power chairs to independently access a building. Ramp design is crucial to its usefulness. 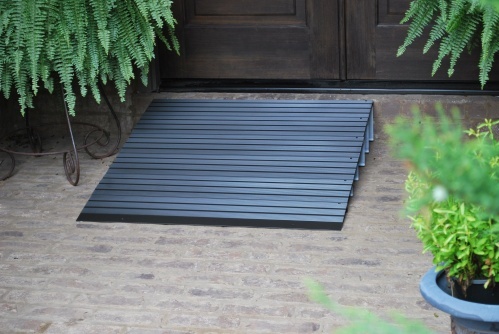 Knowing what your local jurisdictions requires for minimum widths and maximum slopes will help you have the proper type of wheelchair ramp installed or built. A ramp with less slope can be safer for a wheelchair user to use, as well as safer in icy climates. 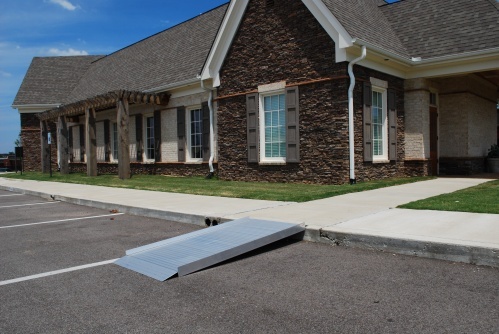 Wheelchair ramps can be permanent, modular or portable. Most of the permanent ramps we see are constructed from wood with concrete footings. Wooden ramps can be difficult to maintain clean and need to be painted on a regular basis. Wooden ramps tend to be slippery, you usually want to make a wooden ramp about 30% longer than a similar metal ramp that has a built in non-slip surface. Modular ramps are more durable than wooden ramps and can be moved or reconfigured. Modular ramps rest on top of the ground. They are exempt from building permits in most localities. Modular ramps are usually constructed of aluminum, which does not rust. Steel is occasionally used for modular ramps but steel ramps tend to corrode after a few months, sometimes even faster.